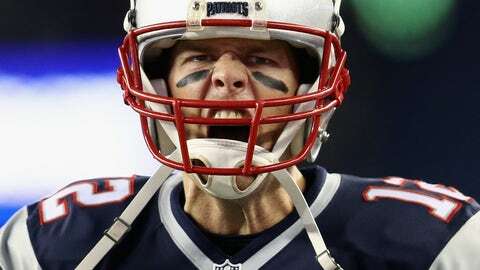 Ho-hum, another would-be challenger comes into Gillette Stadium in a hotly anticipated nationally televised game with aspirations of knocking off the AFC's 15-year dynasty and leaves humbled. This time it was the Baltimore Ravens leaving town the losers, going down 30-20 but at least managing to make the rout look respectable after two very un-Patriots-like fumbles on kicks set up Joe Flacco for two easy, but ultimately meaningless, touchdowns. 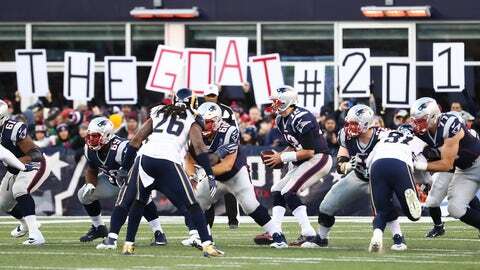 Tom Brady was great, as usual: 25-for-38, 406 yards, 3 TDs, 1 INT, 116.8 rating. And in doing so, he extended some of his most impressive NFL records. 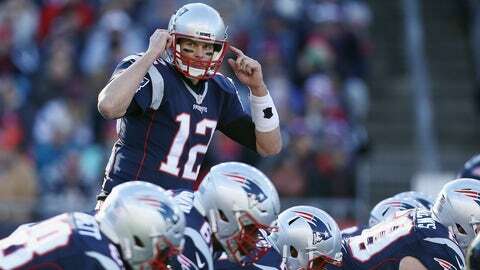 Since 2007, Brady is 50-1 at home against AFC opponents. 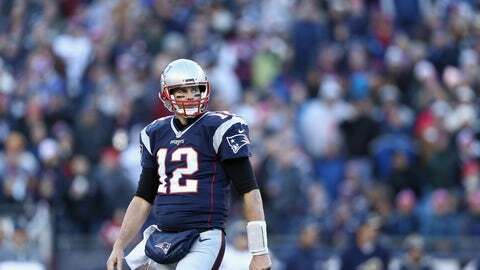 His only loss was in a meaningless Week 17 game against the Buffalo Bills, when the Pats had already clinched home-field advantage and Brady was pulled at halftime of an eventual 17-9 defeat. Fifty. And. One. That's an impressive stat for, say, Duke playing nonconference opponents at Cameron Indoor, except that Duke's nonconference home sked this year was Marist, Grand Canyon, William & Mary, Appalachian State, Michigan State, Maine and Tennessee State. This is an NFL team playing professional peers over a decade with the only advantages being not having to fly into Logan and subservient equipment managers. But other than that? Amazing. Ben Roethlisberger has a 47-12 home record against the AFC over the same stretch, which is pretty tremendous in its own right. Fifty and one, though? Insane. 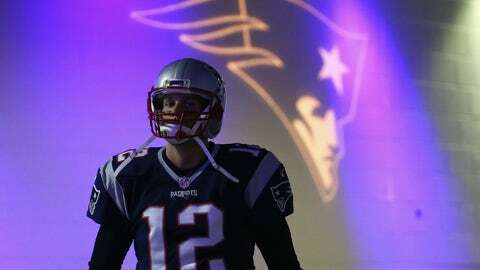 Monday night was also Brady's 100th home win of his career. He's 100-16 (.861), which is the best winning percentage of any quarterback who's ever started 40 games. Take away that 50-1 record vs. AFC teams in the last 10 seasons and Brady is 50-15 against NFC teams overall and AFC teams before 2007. Slacker. This one from Elias: With 406 yards Monday, Brady jumped past Brett Favre for the most passing yards for any quarterback in a single stadium. The Pats QB now has 28,464 at Gillette, while Favre went for 28,240 at Lambeau. And though there are some caveats here -- Favre left Green Bay late in his career, Peyton Manning had three different homes in his prime -- Brady still reached his record in 109 games, 11 fewer than Favre. Speaking of Favre, Brady started the process of bumping Favre from the top spot of another record: His 62nd December win on Monday night tied Favre for the all-time NFL record. So, no, your eyes didn't deceive you. 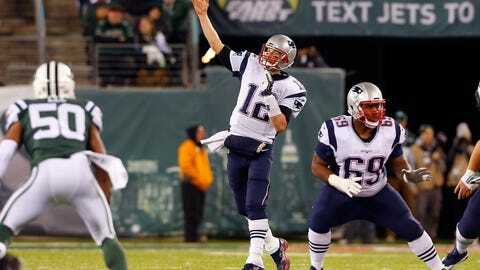 Brady was slinging it around and having a little fun out there. 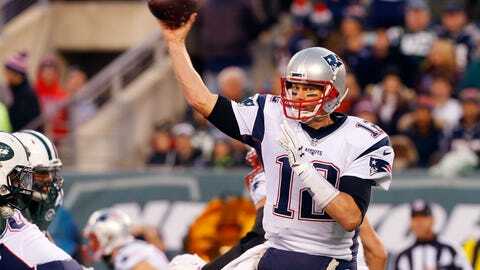 Brady, of course, recently set the NFL record for the most wins ever by a quarterback. If you want even more Brady stat goodness, click here. But to all you Pats fans and WEEI callers who think Brady should win the MVP? Use you head, please. He's missed four games this season - four of his own making, not due to unfortunate injury or something along those lines. The last 15 MVPs have missed one game - combined - in their MVP seasons. The last player to miss two games and win the MVP was Marshall Faulk in 2000, but, even with only playing 14 games, he set the NFL record for most touchdowns and had 2,200 yards from scrimmage, historic numbers Brady won't come close to matching in 2017.